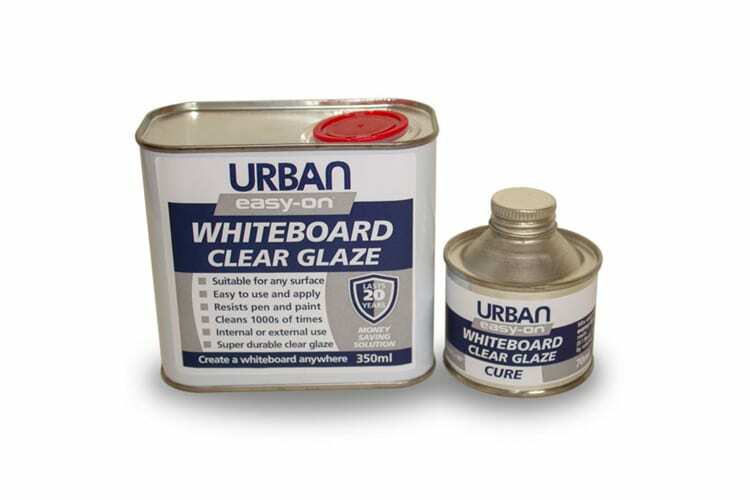 easy-on clear varnish whiteboard paint creates a permanent whiteboard on any surface it’s applied to. 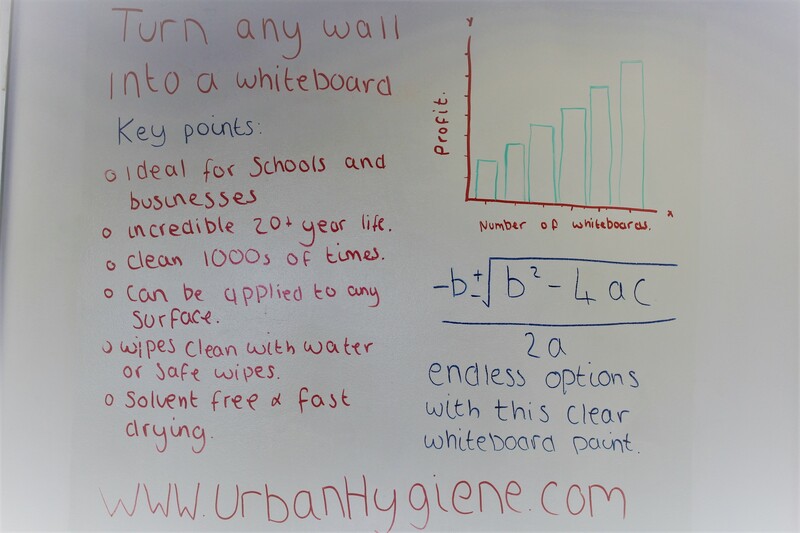 One coat of easy-on whiteboard paint seals in the surface underneath to form a washable dry wipe surface that can be cleaned 1000’s of times. 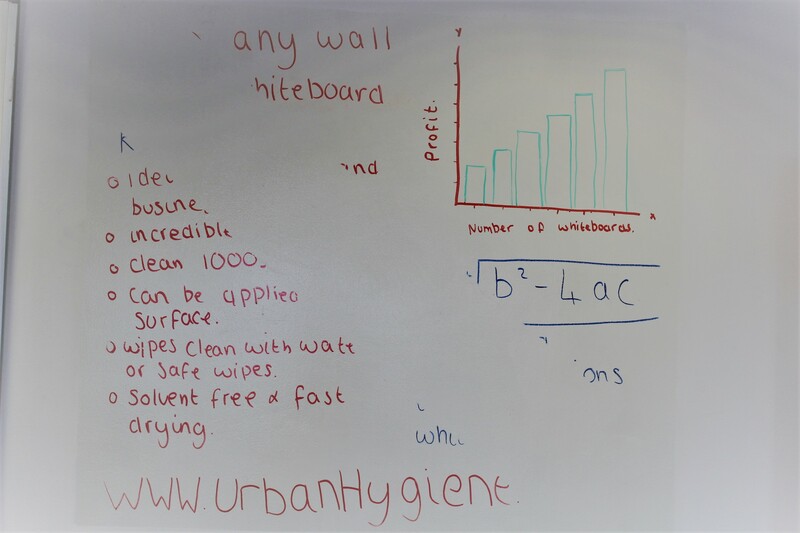 Resistant to all types of pen, paint and spray paint, easy-on clear varnish whiteboard paint allows you to create a collaborative whiteboard area wherever you like. Apply to plain painted walls (any colour), vinyl wallpapers, existing murals and even tables and doors – anywhere you want to doodle, draw, write or design can become a dry-wipe surface. 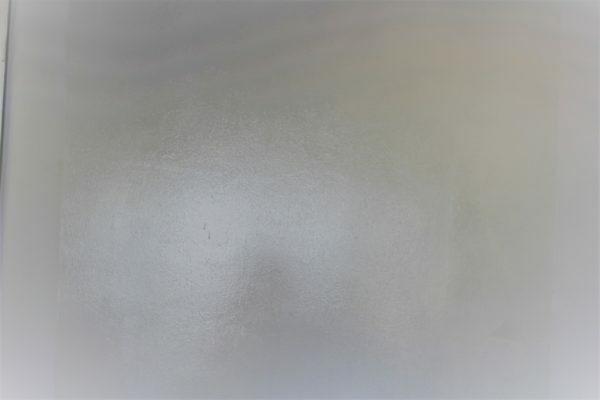 easy-on clear whiteboard paint can be used not only as a whiteboard on a wall, but also on desks, furniture, and workspaces. Being able to apply the paint to most surfaces means that wherever you go while you can create, write down ideas and collaborate with friends and colleagues. Whether you are a creative business or someone who likes to take a lot of notes, easy-on whiteboard paint is the perfect products for you. Thanks to the glossy coating it means that the surface can easily be cleaned 1000s of times by just water or safe wipes; saving you from using harsh chemicals. 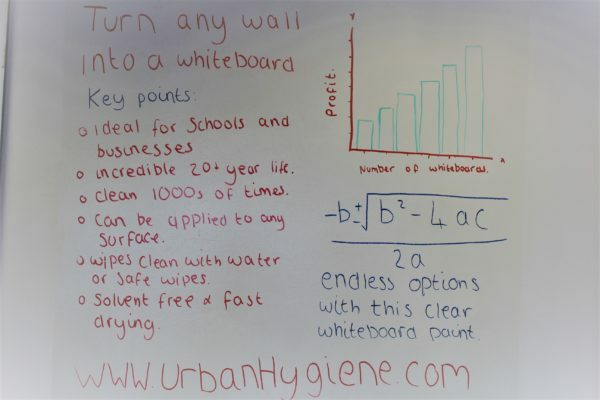 Thanks to its solvent-free nature easy-on Whiteboard paint has found favour internally where schools and businesses have chosen to use this super durable paint to create whiteboards on any walls. Scuff marks, dirt, grease, and grime can all be effortlessly removed from the whiteboard non-stick surface without the need for reapplication. The paint is so durable that it can be wiped down 1000s of times making it ideal for schools and businesses that would use the painted wall often. 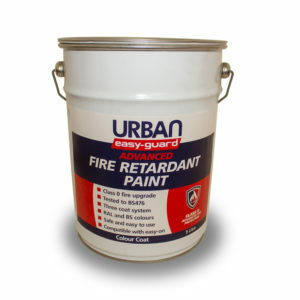 Registered Name: Urban Hygiene Ltd. Registered Company Number: 04953332.